Deary me, sorry for getting slightly musical there! Following on from my Favourite Log Flumes blog post, I thought I’d write about my favourite water rides. There’s so many types of water ride out there that I’ve decided to just make one list on here. Along the way, I have travelled to a fair few theme parks and there’s been a few water rides that have really caught my heart. They are the perfect way to balance out attraction line-ups at any theme park and with it being Summer right now, great for the hot sunny weather. As I started writing this, I thought the list was going to be short and sweet. And it has grown quite massively so I have had to keep things rather brief before I bore you too much. So, let’s crack on with my favourites! Note: These are not in any particular order. This ride. Everyone knows Valhalla. If you don’t, you are not a true geek. I’m torn between loving this ride and hating it purely for the insane wetness levels that is achieved. And for a place like Blackpool, it just doesn’t seem to be the best place for such a soaking wet ride. And I don’t really believe there has ever been a person who has managed to come off ‘bone-dry’, even ponchos don’t keep you safe! Pack some flip flops, protect your bag and possessions (or find a locker!) and just immerse yourself in the experience and brace yourself – YOU WILL GET SOAKED! This ride is certainly an interesting one. Part dark water ride, part water coaster. I love the theatrical elements of this ride within the dark ride section. 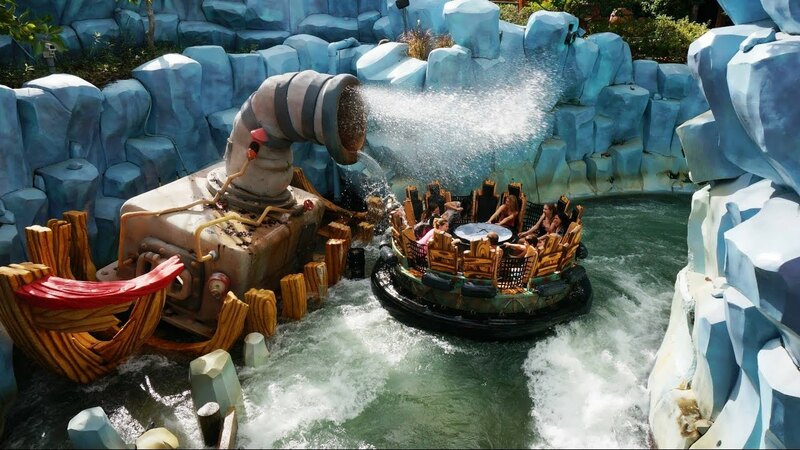 As the rides name suggests, it is your journey to the mythical land of Atlantis, which has a few secrets of its own. Now, I haven’t been on this ride since 2015 so I know the storyline has changed away from the ‘evil Siren Mermaids’ who trick you whilst on your journey. I personally did like this element but can understand this might have been quite scary for the children. Anyway, this ride is great – especially the fun little coaster section towards the end of the ride! 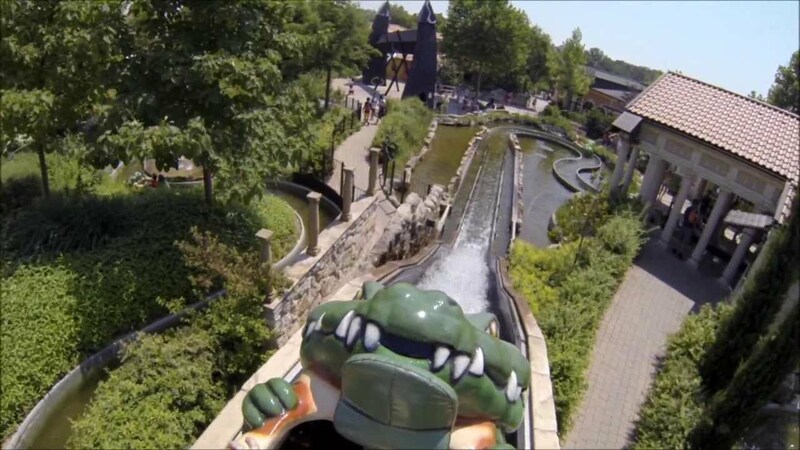 You haven’t experienced a good rapids if you haven’t ridden River Quest. It is EPIC! I won’t be giving out spoilers simply because you need to experience the ride to find out the wonder and surprises in store. The theming around the ride is incredible, just like the whole park tbh. But River Quest has that special beauty about it that makes us geeks praise it so much. You MUST ride this when you make a visit to Phantasialand, just prepare yourself for a soaking. I enjoy this ride very much. Just having the ‘Yo-Ho, Yo-Ho, A Pirate’s Life for Me’ soundtrack playing is enough to get you in the mood. 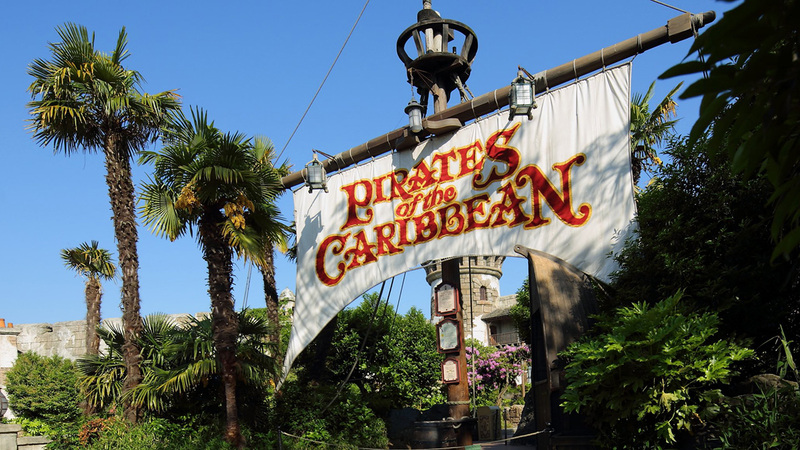 I also enjoy the DLP version as it has that super cool interaction with the Captain Jack’s – Restaurant des Pirates or formerly known as The Blue Lagoon restaurant. As you travel through the seas, and encounter a variety of pirates along the way, you could be in for a splashing time! A must-ride at any Disney park – I mean, hello, Shanghai Disneyland’s version just looks out of this world. I did write a blog post last year about what I missed from the Tooley Street, click here to read, and this attraction is on that list. The first time I went on this ride, it was truly terrifying. The natural darkness of the railway arches that housed The London Dungeons just made this ride even more scary. Plus, as you travelled through Traitor’s Gate, and upwards towards the drop before returning to earth, backwards. As a kid, you’d be very scared – unless you were a tough cookie in which case, props to you! The one thing to note about these Rapids, they are hard to find! You could easily miss these if you didn’t know they were around. And it is honestly so worth doing as they are not only crazy, but such fun to ride. You have a potential to get wet, as you do on a Hafema Rapids – just look at River Quest. Although this ride doesn’t have the same crazy, steep drops as River Quest in Phantasialand, they are just as good. Make sure you don’t miss out on riding these. 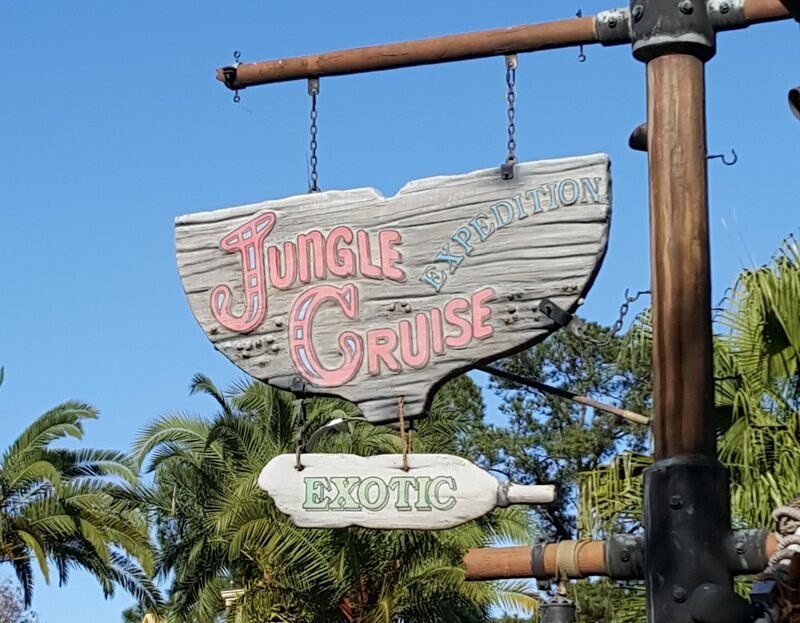 I love, love, love this ride so much. If anything, the gags will make you crease up laughing every time – even if they can be bad at times! Learning about the history of this ride, the jokes and gags were not a part of the original ride in Disneyland California. It was a more educational ride through the ‘jungle’. I’m so glad they added jokes in as it becomes a light-hearted attraction that is fun for the whole family. I’m laughing to myself just thinking about this ride. You’d think that the staff would say, 1 adult per boat, since you know, this is a mini flume ride. Let’s just say that the operator wanted to have some shits and giggles, watching 2 adults ride this flume ride. Yes, the boat was struggling to carry us along. Yes, the lift hill creaked like crazy as we travelled up it. Yes, we got stuck at the bottom of the drop and had to use our body weight to drag us along. It was bloody hilarious and if you ever have a bunch of friends with you, give it a go. You will get soaked too. There’s not really much to say than in the Florida heat, this is a very much needed ride. Basically, wear your swimming gear underneath your clothes, bring a pair of flip flops and embrace the wetness. 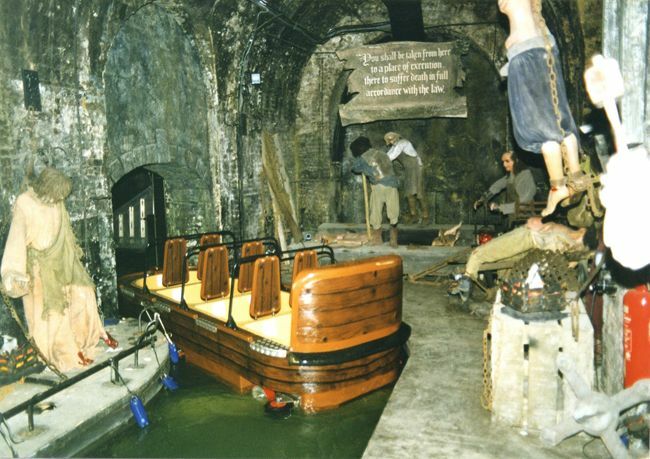 No matter how many times I have ridden these rapids, I have always come off soaked – even more so than the likes River Quest – and that is saying something. Ever get bored of the Rapids in the UK? Well, you’ll be in for a good treat when you try out these rapids. They are fast moving and will get you wet – perfect for that Spanish sunshine. This was my first real experience of trying out a rapids in a foreign country and my god, they make our UK rapids laughable – yes, I’m looking at you Rumba Rapids! I didn’t ride this (and yes, I wish I did now!) but let’s just say, watching your friends spin like crazy and hearing their ‘screams’ from the top… it’s an interesting experience in itself. There’s plenty on this list that have given me some very fond memories. What are your favourites? Are there any I have missed that’s worth a mention? Let me know in the comments below.